Canon has just unveiled its latest camera, offering up the firm's most affordable yet featured-filled DSLR yet - the 6D Mark II. The latest update of the 6D model is a full-fat, entry-level DSLR with all the capabilities you'd expect from a full-framer with a Canon logo slapped on it. 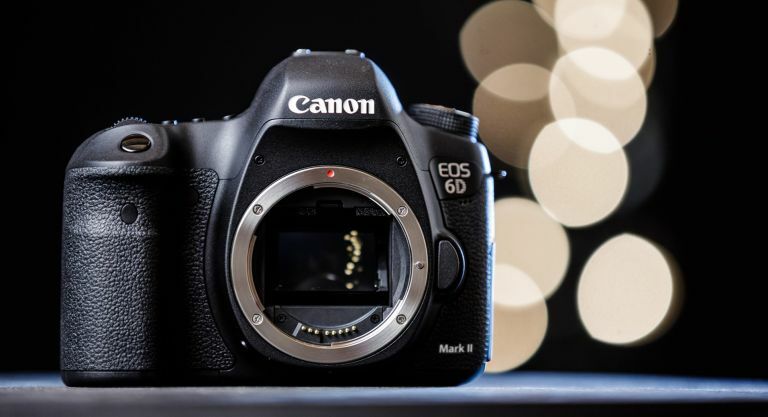 The 6D Mark II comes with a 26.2 megapixel full-frame CMOS sensor, as well as a 45-point all cross-type autofocus system and Canon’s own Duel Pixel CMOS AF system and 1080p 60p video shooting capabilities. The DSLR also boasts a DIGIC 7 Image Processor with ISO range of 100 to 40,000, and a vari-angle articulating touchscreen display. It's Bluetooth, NFC, GPS and Wi-Fi ready and is water/dust proof so it's as rugged as it is smart. That articulating screen is also a real boon, especially if you're trying to pull of a shot at an awkward angle. The Canon 6D Mark II is looking like it'll drop sometime in August with an estimated price of $1,999 for the basic body-only model. Oaxis, the maker of the super smart and functional E-Ink range of smartphone cases, has today revealed the InkCase i7 Plus for iPhone 7 Plus is now live on crowd funding platform Kickstarter. Much like the original InkCase, the version for iPhone 7 Plus functions just like an e-reader device and brings tons of functions to a screen on the back of your existing device. Using Bluetooth, you can read ebooks, check weather updates and decorate your phone with your favourite photos. There's even a handy selfie function that uses your iPhone 7 Plus' rear-view camera to enable you to take perfectly framed selfies with the best camera on your phone. Oh and it's waterproof so it won't break if you splash it with your drink or take it out in the rain. You can pre-order an InkCase IVY case today for $69 (£53) while the campaign lasts on Kickstarter. Afterwards, it'll retail for $159 (£125.45). British luggage maker Antler has just launched a new and updated range of products ready for the summer of 2017. The collection - which includes the Oxygen, Zeolite, Duolite NX and Aire models - is now joined by the large and spacious Titus, which features a Polypropylene shell and specially designed compression zones to keep your luggage safe whatever the turbulence. The Titus also features an integrated USB charging port, so you can fill your smartphone, tablet or wireless headphones with juice before you need to hand over your luggage and board your plane or train. The Antler Oxygen is available for antler.co.uk, John Lewis and more priced £119. The Antler Zeolite is available from antler.co.uk priced at £115. The Antler Duolite NX is priced at £99 and is available from antler.co.uk, Selfridges and more. Finally, the Antler Titus (£129) and the Aire (£125 in khaki), also available direct from antler.co.uk. Why not check out... Rise of the Machines: can home robots really make our lives easier?